Network Rail workers have voted in favour of a UK-wide strike in a row over pay, the Rail, Maritime and Transport union has said. Its members voted 4-1 for action after rejecting pay offers from Network Rail, which owns and maintains most of Britain's railway infrastructure. Union bosses rejected the offer of a one-off £500 payment to staff and three years of rises in line with inflation. RMT general secretary Mick Cash said the result showed 'the anger' of staff. The result will now be considered by the union's executive. 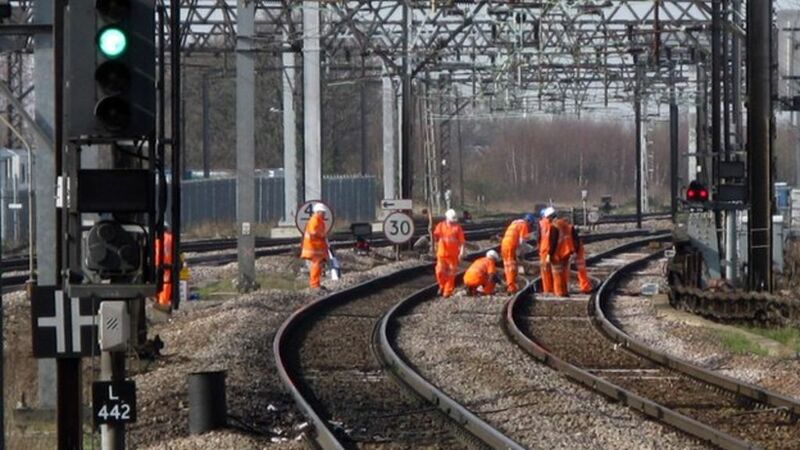 Network Rail workers have voted in favour of a UK-wide strike in a row over pay, the Rail, Maritime and Transport union says.